Guild Wars 2 Heart of Thorns is out! Currently I’ve been leveling masteries, completing precursor crafting and doing some PvP and a little bit of WvW. It’s kinda boring to roaming in the new desert borderlands so I pop into Eternal Battlegrounds every now and then because I need WvW related items for legendaries. I want to post story stuff but I think I’m going to do it in slow iterations, like one or two chapters a week starting next week going through story. I’ll also probably be making a few builds to share. I’ll also post any other news that comes out and talk about any issues that pop up in the community… at least ones I feel comfortable sharing my opinion on. League of Legends Worlds is over. So there will be probably downtime between now and early next year. I’ll post any big team roster changes I find out about and I’ll be keeping a close eye on the preseason changes for Season 6 of my LoL basics guide. Overwatch is coming out early next year and I’m really excited to play it. I do want to get into beta but it’s not a big deal if I don’t get in. The bundles were announced at Blizzcon and I’ll probably get the Origins Edition at the very least. For games of the month, my picks are Fallout 4, Rise of the Tomb Raider, & Starcraft II: Legacy of the Void which all come out on November 10th. Star Wars: Battlefront is another option that comes out November 17th. For WiiU, Mario Tennis: Ultra Smash is coming out on November 20th. I’m not into Call of Duty but Black Ops III just came out so if you’re really into the series then go for it. That’s all for me! Wish you all well and happy gaming! Overwatch Beta Starts October 27th! For those of you interested in Overwatch, Blizzard’s upcoming First Person shooter, you’ll be happy to hear that beta will be starting on October 27th. 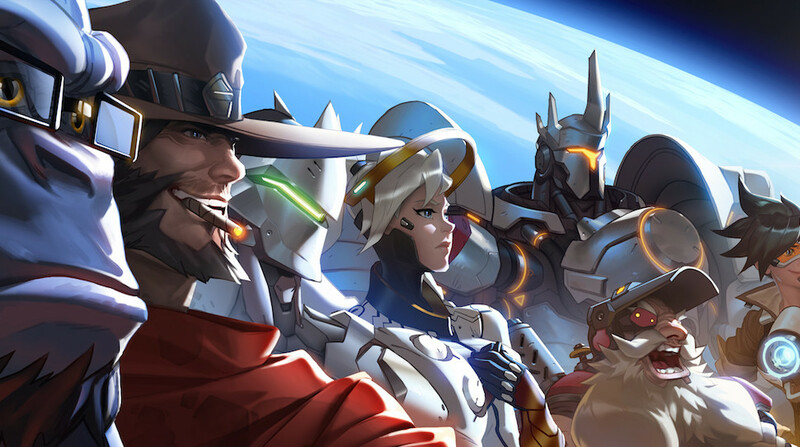 Blizzard stated in their latest Overwatch blog post that they are looking for player feedback on the core game and server stability. Closed Beta – a small number of testers that will have regular access. This will mainly be to test core systems. Best Test Weekends – a large number of people can play for a certain amount of time. This will be for stress testing. These weekends will run in parallel with the closed beta. Sadly the beta will be for Windows-only. You’ll also need the Battle.net desktop app to play. You’ll receive an email if you’re accepted into either of the two beta options with instructions on how to proceed. If you don’t get into Closed Beta, perhaps you’ll get in on a beta weekend. The first Beta Test Weekend is slated for after BlizzCon 2015; this year BlizzCon is on November 6th and 7th. If you’re looking to get in, good luck!